Hampshire County Council want to encourage more people to consider a career in care. Care workers working for the County Council, or one of the care agencies it commissions, receive full training towards recognised qualifications, paid travel time between appointments, flexible working options, and are paid at least the minimum wage plus 20%. 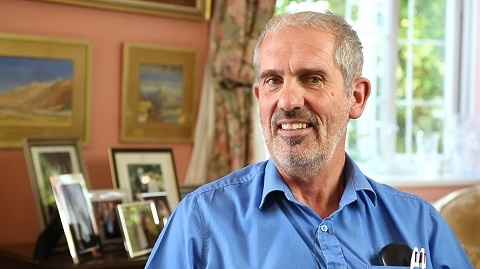 John Cupper, who features in the latest Change Lives film, has been a carer for 15 months. Previously, John was a Police Officer for 23 years, and before that, served in the Royal Navy. Visit the Change Lives web pages: www.hants.gov.uk/changelives for more information about careers in care, and the current opportunities available across Hampshire.